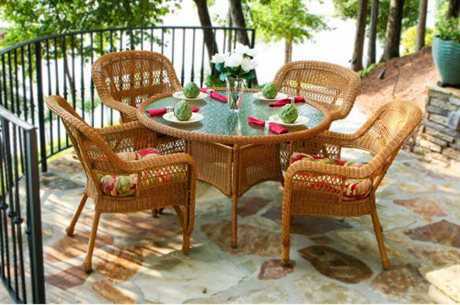 Dining sets consist of a table and two or more matching chairs. 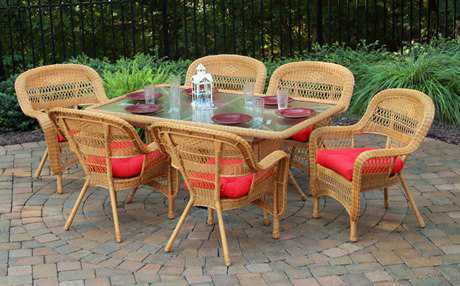 A small wicker outdoor dining set is either a bistro or bar set, which includes a round table and two chairs, while larger wicker patio dining sets are made up of long glass, wood, or stone top tables and upwards of eleven chairs. 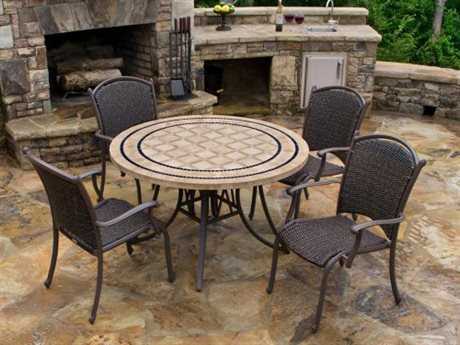 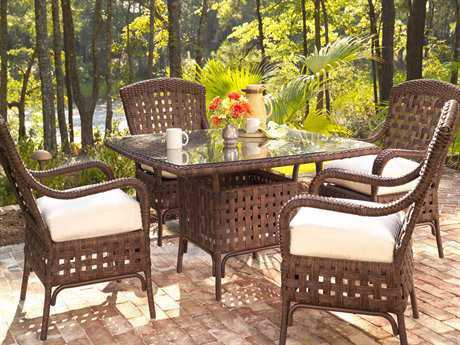 The chairs in wicker patio dining sets are available with or without cushions, and you can also find sets with benches instead of individual chairs or a combination of both to fit your patio style. 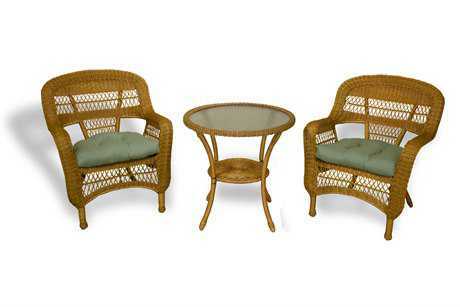 Wicker chairs are available in various styles, including bar stools, swivel chairs, and armchairs, all varying in height to match the wide selection of tables. 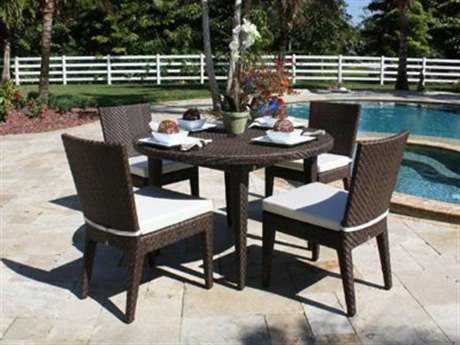 Woven wicker furniture brings a casual, modern touch to any poolside or patio. 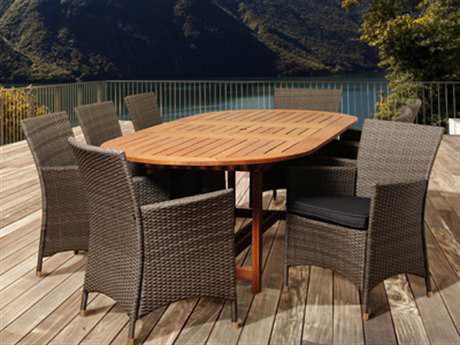 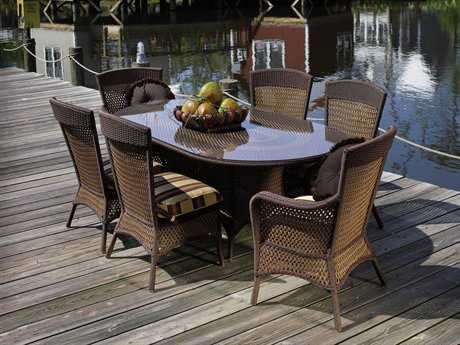 Sets of any kind have the benefit of guaranteed matching pieces, and wicker outdoor dining sets are no exception. 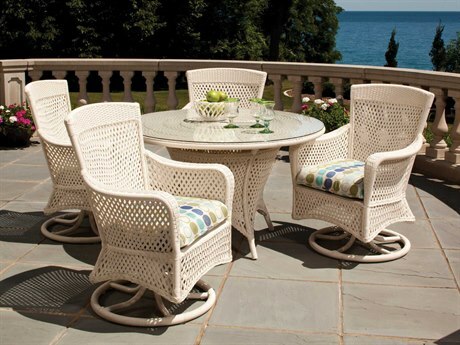 Aside from making decorating your patio easy, wicker furniture doesn’t freeze or absorb heat like metal would, so it’s sure to be comfortable in any weather, and the added option of seat cushions elevates that comfort. 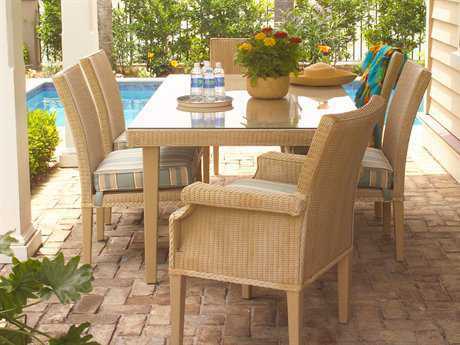 Most seat cushions are also removable, so you can store them away in case of rain or snow, wash them, or switch them out to change the color scheme at any time. 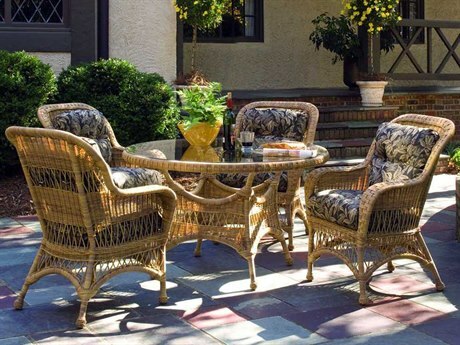 Wicker is easy to clean with a wet cloth or hose and doesn’t fade or crack from prolonged sun exposure, making it a great choice for a sunny patio. 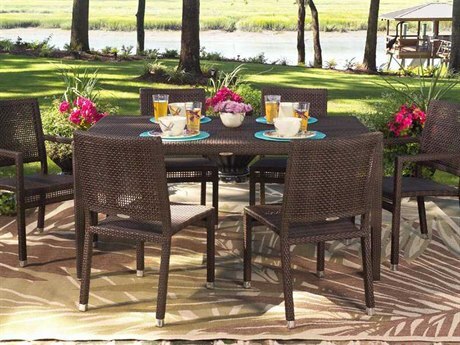 If you need shade, you can find a wicker patio dining set with an umbrella hole in the table and add a removable umbrella shade. 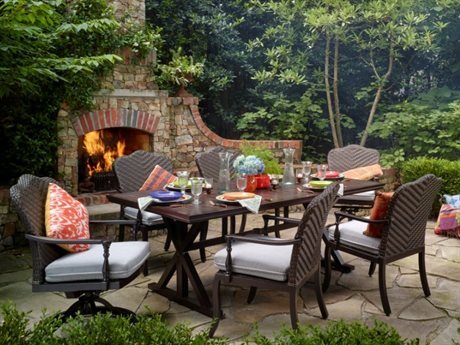 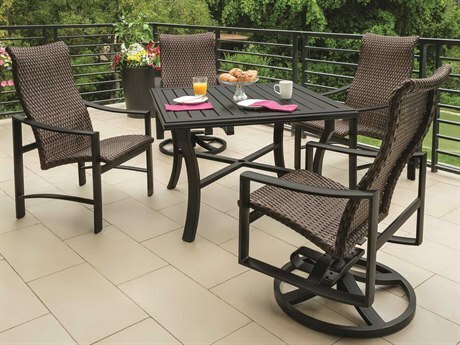 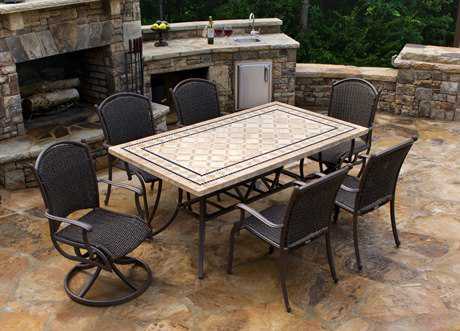 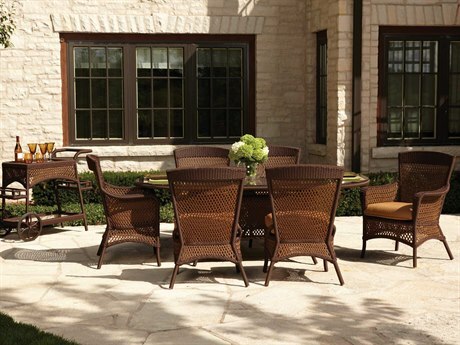 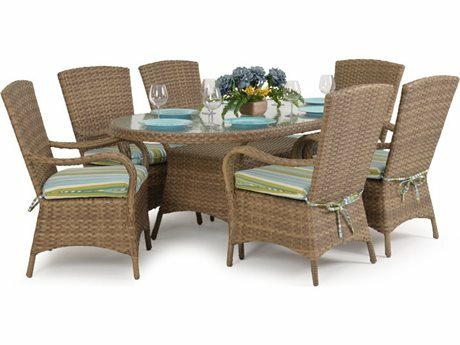 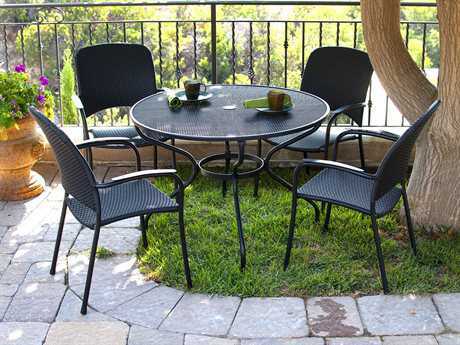 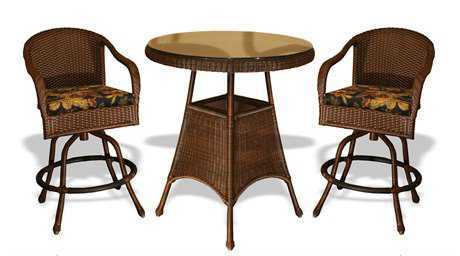 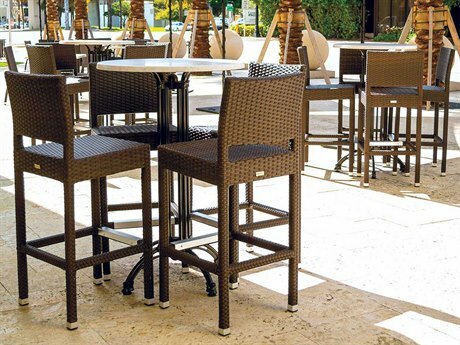 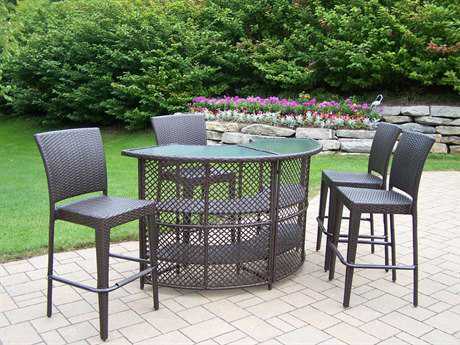 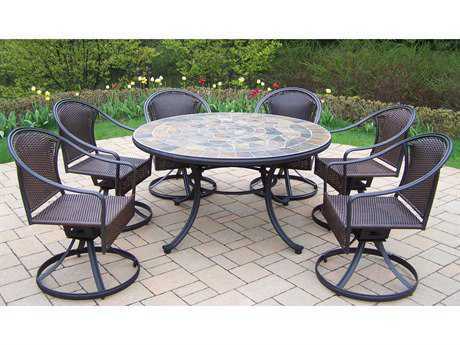 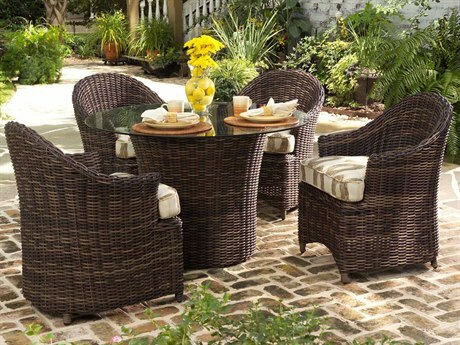 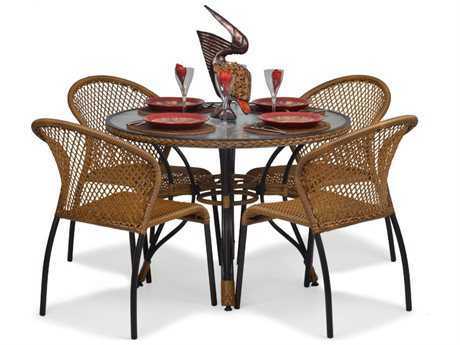 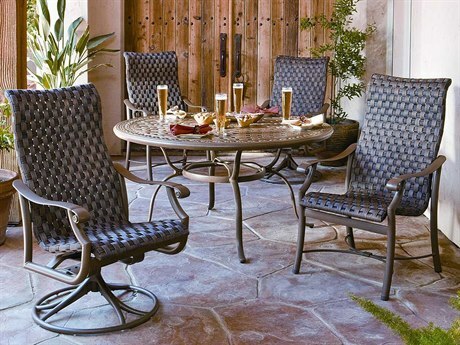 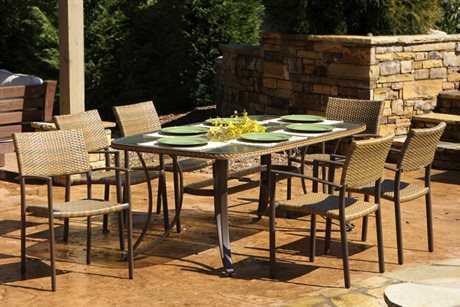 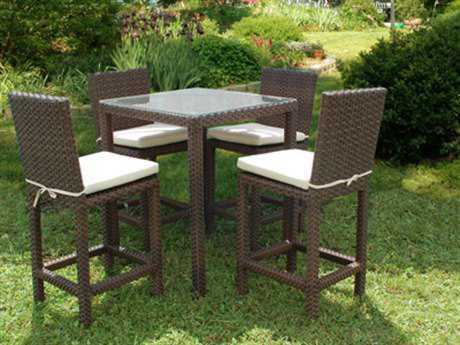 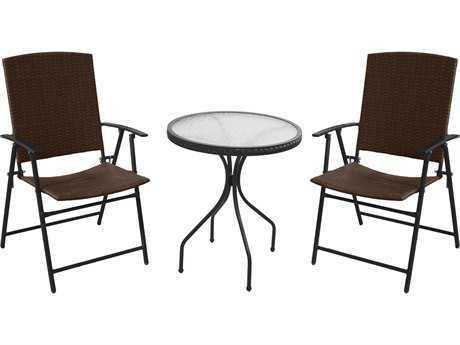 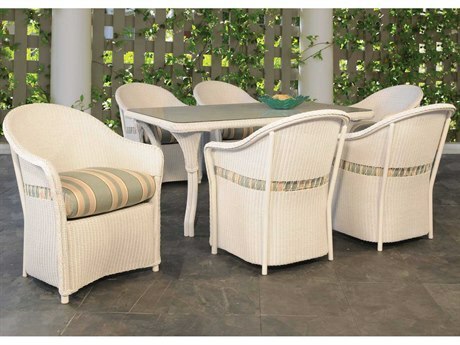 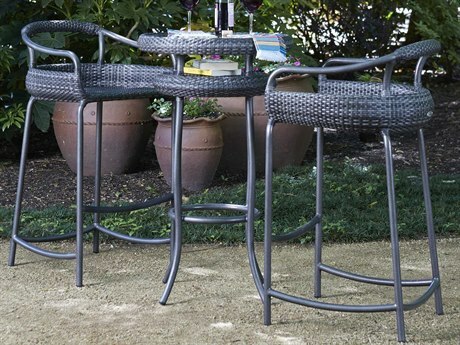 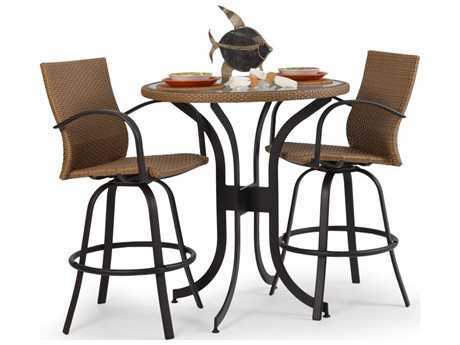 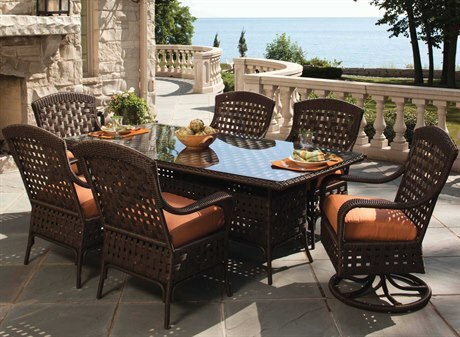 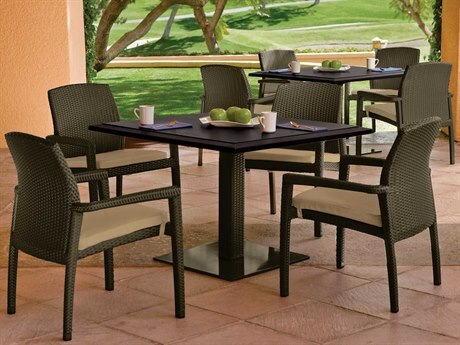 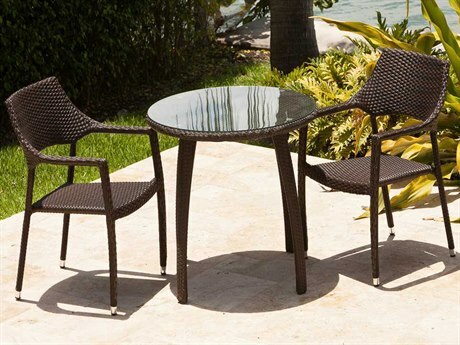 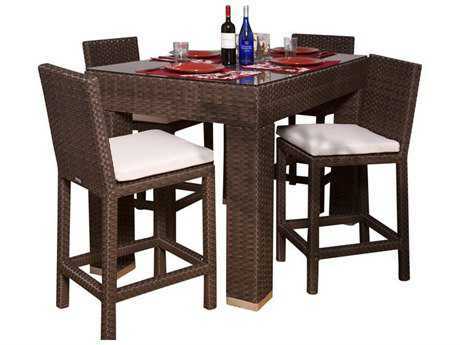 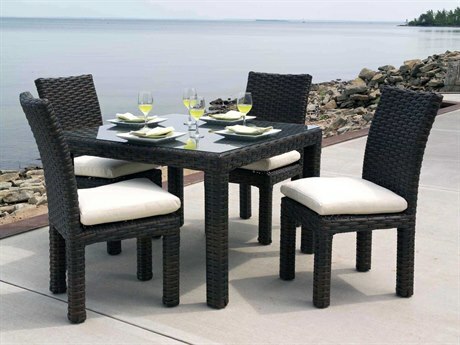 Bistro-style wicker patio dining sets are perfect whether you have limited space or just want to create a cozy corner. 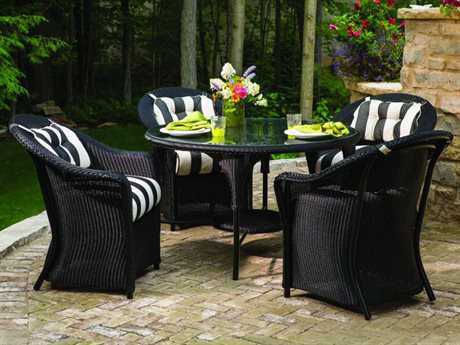 These three piece sets can go from where you have your morning coffee to a relaxing poolside lemonade with a good book to a romantic dinner for two. 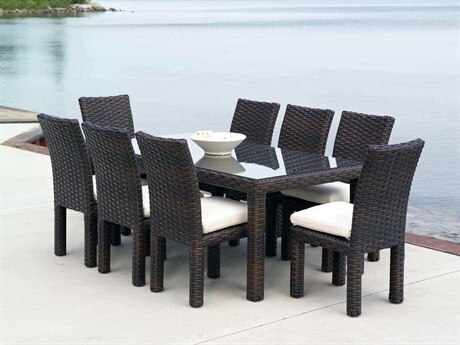 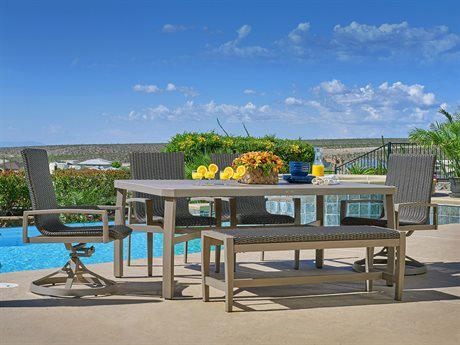 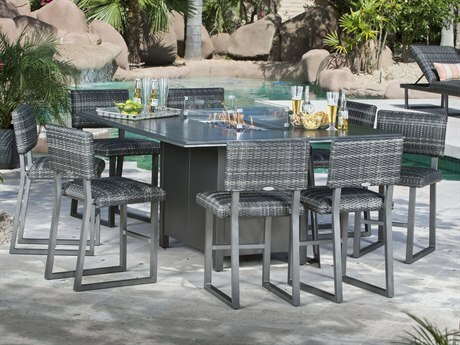 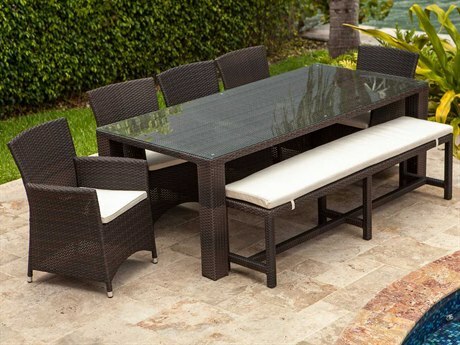 If you have more guests to entertain, a larger wicker outdoor dining set fit with a sleek glass-topped table and cushioned bench stretching along one side with matching chairs around the rest would ensure that everyone finds a comfortable seat. 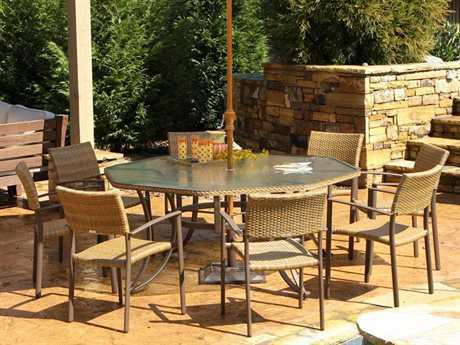 Add a detachable umbrella shade to the center and your patio is set all day. 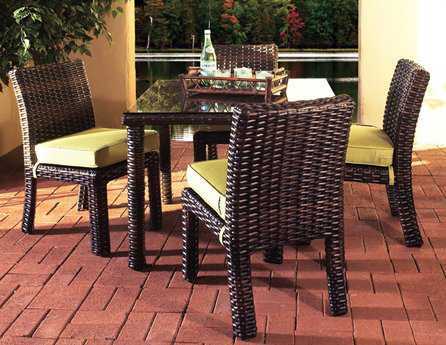 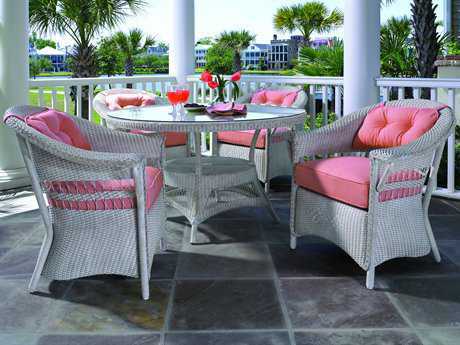 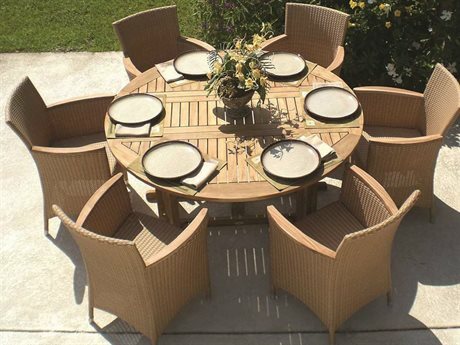 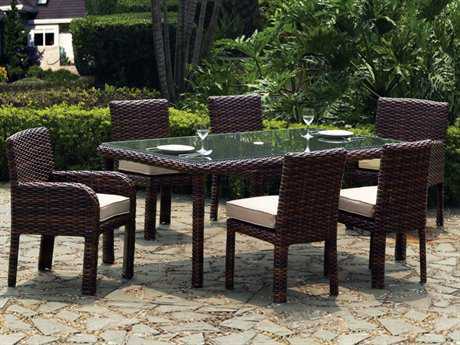 Combination wicker patio dining sets are popular for accommodating everyone by giving a choice of swivel dining chairs, tall bar stools and other four-legged wicker chairs, and deep-seated armchairs, all with the option of adding a solid-colored or patterned detachable cushion.